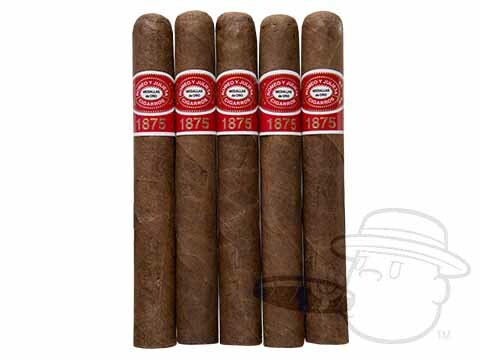 The Romeo Anejo Robusto By Romeo Y Julieta is tagged with free shipping. If you order this product, your entire order will receive FREE BCP Ship Saver shipping! Continuing the best-selling Romeo y Julieta brand’s evolution towards robust and full-flavored cigars is Romeo Anejo. 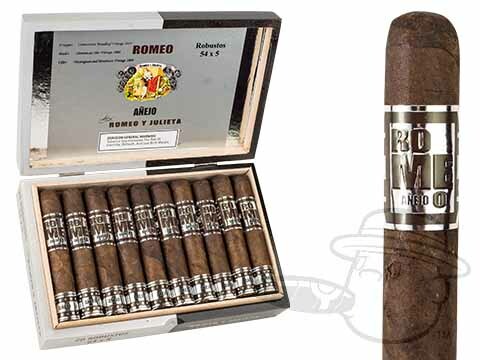 The Romeo Anejo’s dark and delicious Connecticut Broadleaf wrapper holds a gorgeous blend of double fermented 2008 vintage tobaccos from Nicaragua and Honduras. These carefully-selected sun grown leaves have been aged to perfection in special cedar cajones (drawers) to bring you a flawlessly smooth smoke that’s flush with creamy tasting notes of coffee, dark chocolate, rich tobacco, and more. Medium in body and decadent in rich taste, the Romeo Anejo’s deep and satisfying profile awaits.